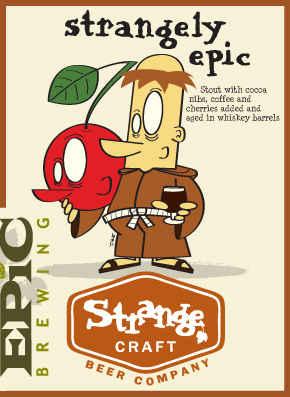 Once again, for the fourth year in a row, we get to try Strangely Epic, a blend of two celebrated beers from Strange Craft Beer Company and Epic Brewing. The beer was first created in 2013 for Denver’s Collaboration Fest. 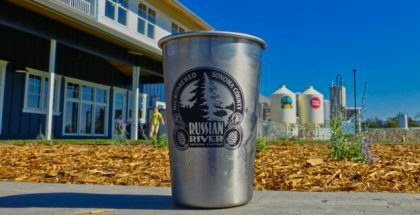 Crafted at both breweries and named Strangely Epic and Epically Strange (for where each beer was brewed and blended), the collaboration brews release is eagerly awaited each year. 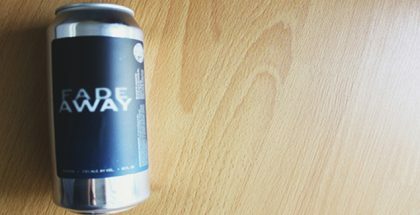 Photo courtesy of Strange Craft Beer Co.
At 7.1% ABV, Strangely Epic is a blend of heavy-hitting beers: Strange Craft’s tart fruit explosion Cherry Kriek (i.e. Cherry pie in a glass) and Epic Brewing’s monster imperial stout Big Bad Baptist. 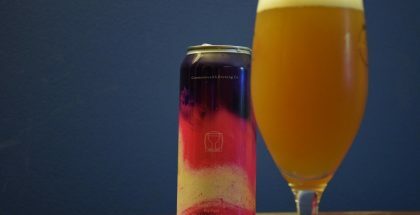 At first, the meeting of styles and flavors found in Strangely Epic didn’t seem like such a natural friendship as Tim and Kevin enjoyed. Tim noted, “Kevin and I weren’t really sure how Cherry Kriek would stand up to Big Bad Baptist, and we had a lot of fun figuring out the right ratio.” Turns out that right ratio tastes like a playful jaunt through a refined den. The result is a complex journey through coffee, chocolate, and cherries. The whiskey aged nose and edges of flavor frame the unlikely pair of beers in a way that makes their friendship truly special. Strangely Epic will be available in limited quantities at select liquor stores across Colorado. 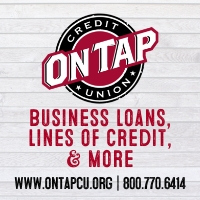 The beer will also be on draft at Strange Craft Beer Co. for a limited time. So grab a buddy and head over before this delicious beer runs out. 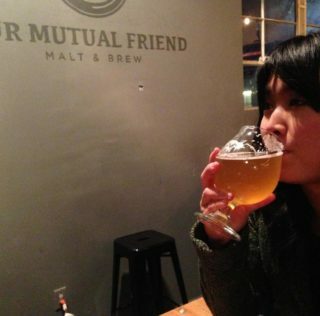 Cheers to beer and friendship! 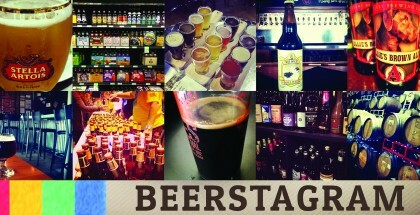 Feature image courtesy of Strange Craft Beer Company.